Religion distinguishes between education and transformation. They’re not the same thing! You can be educated and not transformed, and you can be uneducated and profoundly transformed. Do not be conformed to this world, but be transformed by the renewing of your minds, so that you may discern what is the will of God – what is good and acceptable and perfect (Romans 12:2). Education and transformation go together in the program called Education for Ministry, or EfM, which Joanne and Barb invited me to talk about today here at St. Luke’s. Students in EfM really are students. They read textbooks chosen by staff at the Beecken Center of the School of Theology of the University of the South in Sewanee, Tennessee (one of the 11 historic Episcopal seminaries). EfM was created 40 years ago as a “four-year distance learning certificate program of theological education,” and students will testify that they learn a lot. EfM students in Year One listening to today’s Gospel might be thinking about the Old Testament’s (excuse me, the Hebrew Bible’s) ritual purity laws. Mark does not explicitly mention violations of the ‘purity code,’ but there are two of them in this reading. First, the woman with the hemorrhage touched Jesus, rendering him unclean. Second, Jesus touched the dead young woman, which also would have rendered him unclean. EfM students in Year Two might be thinking about the New Testament and how to interpret documents written in Greek nearly 2,000 years ago. Mark Davis, on his blog Left Behind and Loving It, translates the Greek of each week’s Gospel reading directly and comments on the problems or insights he discovers. And a woman being in a flow of blood for 12 years and having suffered much by many physicians and having spent all that she had and not having benefitted but having gone from bad to the worse having heard about Jesus having gone into the crowd she grabbed his garment from behind. EfM students in Year Three might be thinking about how the political maneuverings and bloody wars of 3,000 years of church history are seemingly unrelated to today’s Gospel. The church history we read is really the history of 3,000 years of religious change. The last couple of weeks have seen momentous changes, with the events in Charleston and the Supreme Court’s rulings on the ACA and marriage equality, with President Obama’s eulogy at the funeral of Rev. Clementa Pinckney and the Episcopal Church’s election of the Rt. Rev. Michael Curry, another African-American preacher, as our 27th Presiding Bishop. And yet we realize that the past is prologue, that history repeats itself, that even today girls in Zimbabwe, Kenya, or Haiti who have reached the age of menstruation often have to miss school because their period is seen as shameful. Girls in Bangladesh and India suffer infections for lack of clean supplies. As for their hopes of an education or independence, they might as well be dead — like the synagogue leader’s unnamed daughter. And EfM students in Year Four will have been reading stories and academic analyses about how people in different cultures read the Gospel differently, about how men and women read the Gospel differently, about how the powerful and powerless read the Gospel differently. [Jesus’] message is clear – that the unnamed woman is of no less importance than the ill daughter of a person of power. She becomes a perpetual reminder that the socially marginal have a conspicuous place in the realization of God’s reign. EfM might help us learn a lot that enriches our appreciation of the Gospel, but it doesn’t stop there. We don’t simply gaze in admiration at all of the pictures our teachers have painted. Instead, we deliberately – in a process called theological reflection – look more closely at the pictures, entering into the emotions and dilemmas and questions they depict. In our “TRs” (as we call them) we seek a glimpse of how God is acting in our lives and share with each other our transformed understanding. If we were doing a theological reflection on efficiency, for example, we might picture Jesus as a paramedic and look closely at his presence in this chaotic and emotional scene. Peter Woods, on his blog The Listening Hermit, writes an entry called “Jesus has no time for triage”. With all the drama of a novel rushing to its climax, Mark inserts the older hopeless woman into the story of Jesus’ mission to heal the just girl. The old bleeding woman is an interruption and an energy thief to boot! Yet, as the story unfolds both are healed. The young and the old, the hopeful and the hopeless. There is enough time, power, compassion, and grace to go round so that no one needs be written off. Or, if we were doing a theological reflection on vulnerability, we might remember that the woman is ritually impure, shunned because of her bleeding; the child is unclean (and her father prostrate with grief) because she is dead. We might see ourselves in the portrait before us. We tend in our culture to avoid vulnerability – to avoid admitting that we don’t have it all together – because of the way it can leave you feeling exposed, desperate and, well, vulnerable. And there is something of that in these stories. But we’ve also seen that only in admitting our vulnerability are we able to receive help, and only by owning our moments of desperation are we willing to try something out of the ordinary, discover the courage to be and act differently. Jesus’ presence in the whirlwind encounters with the woman and the child transformed them. The child was brought back to life, and the woman was brought back into life. Jesus transformed and encouraged them both. He encouraged Mark and the other disciples to “turn the world upside down” (Acts 17:6), and the world keeps turning upside down. Having “the courage to be and to act differently” – that’s what it means to be transformed by Jesus. Transformation is for all of us. Reflection is for all of us. Education is for all of us. Shameless plug: Education for Ministry is for all of us. Being transformed by the renewing of our minds so that we may discern what is the will of God – what is good and acceptable and perfect – that’s for all of us. This entry was posted in Bible, Sermons and tagged Barack Obama, Clementa Pinckney, David Lose, Deborah Blanks, education, Education for Ministry, John Petty, Mark Davis, Michael Curry, Richard Rohr, transformation on June 28, 2015 by Rodger Patience. How in the world can these people from Emanuel AME Church in Charleston be at peace? How in the world can they have forgiveness in their hearts? How did they come to possess “the peace that passes understanding”? It’s clear that most of us do not have that peace. We try to talk about racism and violence and the other ills that plague us, but we end up talking past each other and inflaming each other further. The news media and social media erupt with argument and counter-argument. Even when we are fellow-Christians trying to speak about the Gospel, we do not always help as we had hoped to. We try to “proffer the Word of life,” but we still talk past each other. The Rev. Eric H. F. Law of the Kaleidoscope Institute teaches about the “Cycle of Gospel Living,” and I believe it can help us in these challenging conversations. Take a moment to look at the diagram carefully. We all participate in the dying and rising of Christ, in the cross and resurrection, but we enter the cycle from different places – the powerless from the bottom, the powerful from the top. After speaking to someone on top, a rich young man, Jesus turns to his disciples and says, “Truly I tell you, it will be hard for a rich person to enter the kingdom of heaven” (Matt. 19:23). And writing to Christian Jews living in “the Dispersion,” in a variety of different places, James says, “Let the believer who is lowly boast in being raised up, and the rich in being brought low” (James 1:9-10). How in the world can these people be at peace? How can we come to possess the peace that passes understanding? “If you have decided you want what we have and are willing to go to any length to get it – then you are ready to take certain steps…. Here are the steps we took, which are suggested as a program of recovery” (Big Book 58-9). Through my own experiences in recovery I have heard in the 12 Steps of AA what Richard Rohr calls “the coded Gospel” (Breathing Under Water). An experience of powerlessness can trigger our awareness that we cannot handle our life alone. When we admit our powerlessness, we can find reprieve – “a daily reprieve contingent upon the maintenance of our spiritual condition” (Big Book 85). We may even find that our regular spiritual practices become an oasis, rather than a burden. The members of Emanuel AME Church were meeting for their regular Wednesday night Bible study. They were sitting “in the oasis,” and they welcomed a stranger to join them, even offering him a seat of honor next to their pastor. As African-American people in South Carolina, they lived in relative powerlessness – even though their pastor was also a state senator, the streets around their church are named for Confederate generals, a constant reminder of slavery and of past and present violence against people of color. As people of color, their identification with Jesus, their entry into the cycle of gospel living, may have been at the bottom, but their endurance like Jesus, their empowerment by Jesus, and the daily maintenance of their spiritual condition in union with the resurrected Jesus produced in them an oasis, full of living water. We do not necessarily have the same experience of the Gospel. Our identification with Jesus, our entry into the cycle of Gospel living, is more likely to start at the top and to require us to choose the cross, giving up the power and privilege we enjoy as white people in northeast Wisconsin. 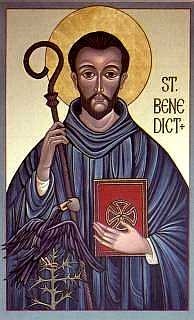 Whether something like addiction calls us up short, whether the death of a loved one brings us low, whether we are cut to the quick by the words of Scripture, our falling and failing will also lead us into “the way of the cross, [which is] none other than the way of life and peace” (BCP 99). So how did they come to possess the peace that passes understanding? And how can we come to share in the peace that does not “treat the wound of [God’s] people carelessly” (Jer. 6:14)? The “Big Book” of AA reassures me that “the answers will come, if your own house is in order. But obviously you cannot transmit something you haven’t got” (164). Many people in the Episcopal Church, especially as we prepare for General Convention, are calling us to a preach resurrection and engage in the kind of practices that will get us what we need to transmit. restructure our church for the mission God is laying before us today. 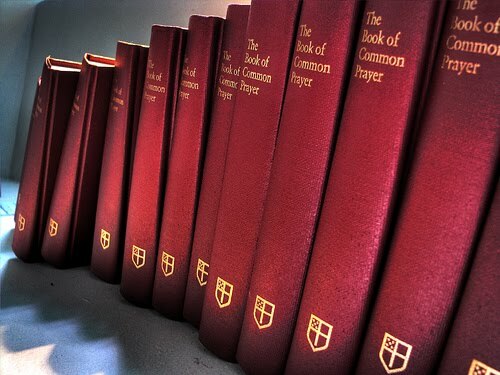 And, just like the folks in AA have a “Big Blue Book” we have a “Red Book” (the Book of Common Prayer). The “daily maintenance of our spiritual condition” is not a depressing burden, as I feared when I first entered recovery. Rather than being a burden, our spiritual disciplines can create in us an oasis, a place where we are free to greet the stranger whom we meet in our churches or as we follow Jesus out into the neighborhood. And one last thing, these practices are mostly portable, making it easy to travel lightly. Sure, we usually gather in a church building on Sundays and holidays, but the book we need for the Daily Office fits easily into a briefcase – in fact, you don’t even need a book, since the Forward Movement iPhone app works just as well! And soaking daily in the Scriptures means that following God “is not too hard for you, nor is it too far away. It is not in heaven … neither is it beyond the sea …. No, the word is very near you; it is in your mouth and your heart for you to observe” (Deut. 30:14). These are the words of a woman who lives in the risen life of Jesus Christ our Savior. These are the words of someone whose own experience of powerlessness, death, and violence is being transformed by her endurance, empowering her to offer a blessing instead of a curse. We may not be able to offer those same words – we are not at the same place in the cycle of gospel living – but we can also participate in the resurrection life. For us it may require a costly admission or an unwelcome realization, and it may require us to choose the cross, giving up the power and privilege we hold onto so tightly. But we, too, can know the peace of Christ, recognize it in our neighbors, and share it with those around us. And may the peace of God, which passes all understanding, keep our hearts and minds in the knowledge and love of God, and of his Son Jesus Christ our Lord; and the blessing of God Almighty, the Father, the Son, and the Holy Spirit, be among us, and remain with us always. Amen. This entry was posted in Daily Office, Sermons and tagged 3 Practices TEC, A Memorial to the Church, AA, Acts 8 Moment, Charleston, cycle of Gospel living, Emanuel AME Church, forgiveness, peace, practice on June 21, 2015 by Rodger Patience. The psalmist and the martyrs of Charleston — along with the African-American community more generally — have entered the cycle of Gospel living from the point of powerlessness. Will you forget me for ever? Their endurance has united them with the suffering of Jesus on the cross, whose suffering is not the end of the story. The cross leads to the empty tomb, to resurrection, and to the power of life in Christ. After an event like the shooting at Emmanuel AME Church in Charleston, social media is justifiably full of anger directed toward well-meaning (mostly white) Christians who “have treated the wound of my people carelessly, saying ‘Peace, peace’ when there is no peace” (Jer. 6:14). The problem now (as then) is that we are all speaking about the Gospel, but we are talking past each other. What we “well-meaning Christians” must understand is that we enter the cycle of Gospel living from a completely different position than many (most?) Christians do. We participate in the cycle when we give up our power, “just as the Son of Man came not to be served but to serve, and give his life a ransom for many” (Matt. 20:28). We participate by falling and failing, by giving up our power and privilege, which no one is taking away from us. This is why Christianity has as its central symbol of transformation a naked, bleeding man who is the picture of failing, losing, and dying … and who is really winning — and revealing the secret pattern to those who will join him there. 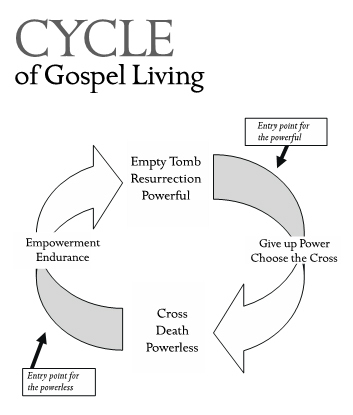 All of us who are Christians participate in the cycle of Gospel living. All of us center our lives on the crucified and risen Jesus. But we experience the cycle of Gospel living differently from each other, we come to the saving knowledge of Christ’s death and resurrection from different directions, and we must be tender with one another for Jesus’ sake. This entry was posted in Daily Office and tagged cycle of Gospel living, Eric Law, Jeremiah, Martin Luther King Jr., Psalm 88, Richard Rohr on June 19, 2015 by Rodger Patience.